The Meiji Shrine is tucked away in Yoyoji Park, located just outside the Harajuku train station. The best way I can describe Yoyoji Park is that it's basically a forest with a giant rock path carved through it. Although the summer heat was in full force, we enjoyed a peaceful stroll through the park on our way to the shrine. The Meiji Shrine is dedicated to Emperor Meiji and Empress Shoken. It's construction was completed in 1921, but it was later destroyed during the Tokyo Air Raids of WWII. The rebuilding of the shrine was completed in 1958. The surrounding grounds are expansive at 170 acres, with 120,000 trees of 365 species having been donated from all over Japan. My bestie & I... i love her!! yes, we had a selfie stick.. 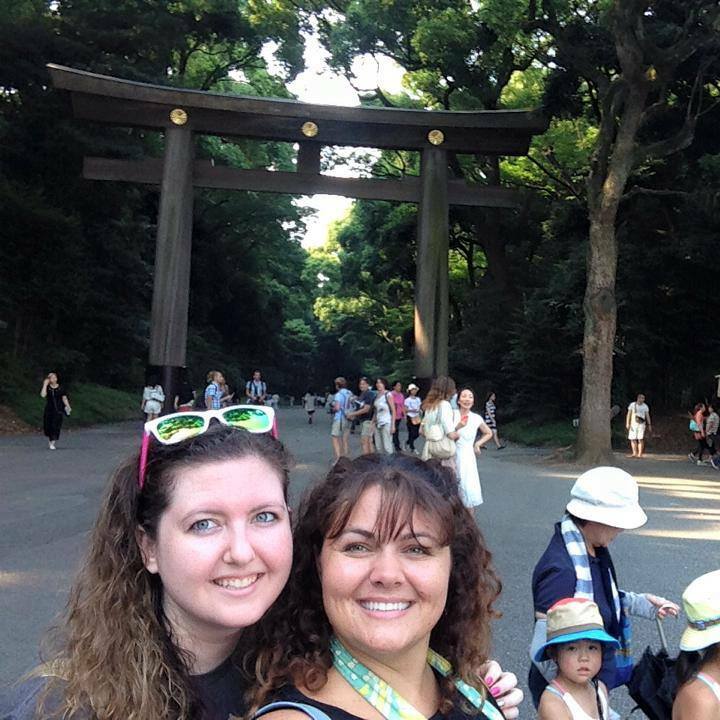 The first Torii gate on our walk to the Meiji Shrine. Custom dictates that out of respect, you should pass through the gate either to the left or the right, never through the middle. The middle is know as "Sei-chu" and is the path of God. The wall of sake barrels... it was even more gorgeous in person! Every year, brewers from all over Japan donate a sake barrel as tribute to the enshrined deities. Prior to entering the Shrine, it is respectful to participate in the cleansing ritual. Using your right hand, scoop water & pour over your left. Switch hands to pour over right. Switch again to pour water into left hand to cleanse mouth. Then tilt scoop back toward yourself & allow remaining water to cleanse the handle. Once inside, there was such a spirit of respect. If anyone was speaking, it was in quiet tones so as not to disturb those who came to pray. The interior courtyard area was spacious and lovely. There were a few areas for prayer; a large tree with an offering box, the temple/shrine area, and then a prayer wall. For a small donation, visitors to the shrine can purchase "ema", wooden plaques, on which they can write their prayers or wishes. They are then hung on the expansive wall. As I wandered, I discovered quite a few written in English and it was so moving to see the hearts desires of people. A stunning reminder that there are still selfless people in a world that seems so topsy-turvy. I'm so glad we made time to visit the Meiji Shrine. I love getting a glimpse of parts of the culture we are experiencing while living in Japan. If you ever make it to Tokyo, you should put this place on your list! 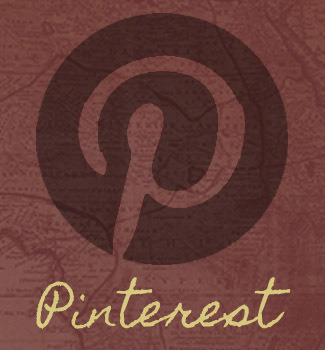 What are beautifully written and informative post! I whole heartedly agree! A must see!